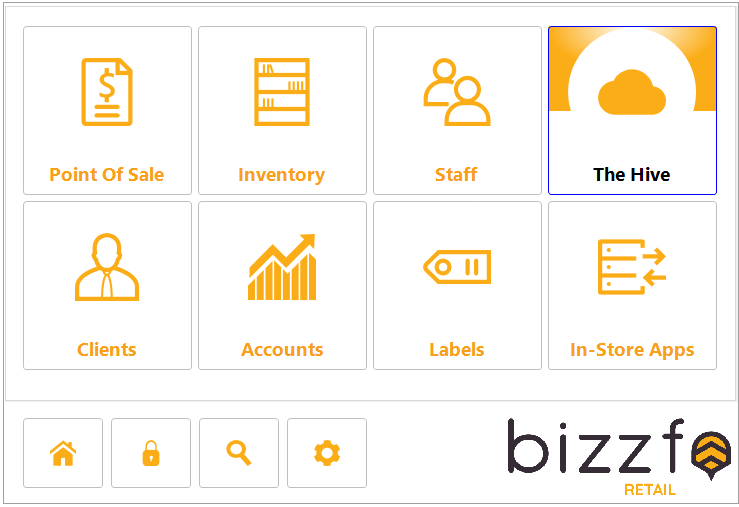 The purpose of this guide is to help the user create a Bizzfo Account and also to link a terminal to the Hive. 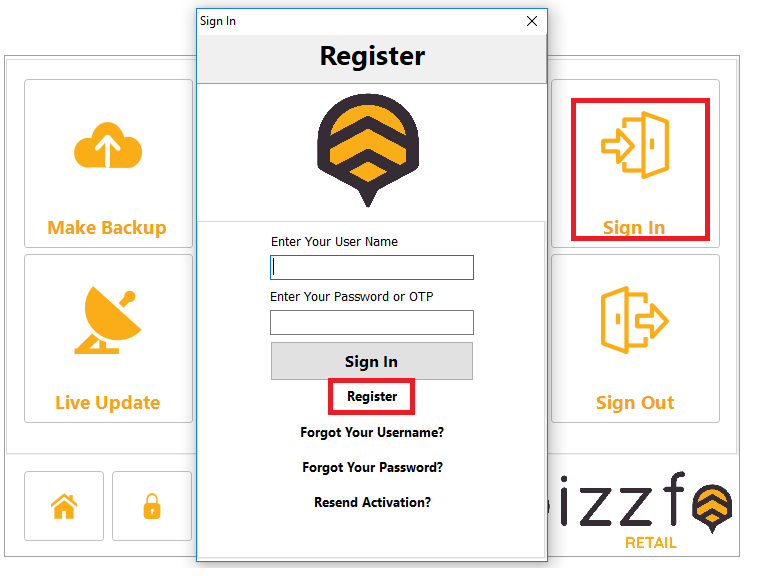 Upon clicking registration a welcome e mail will be sent with a link to activate your account. 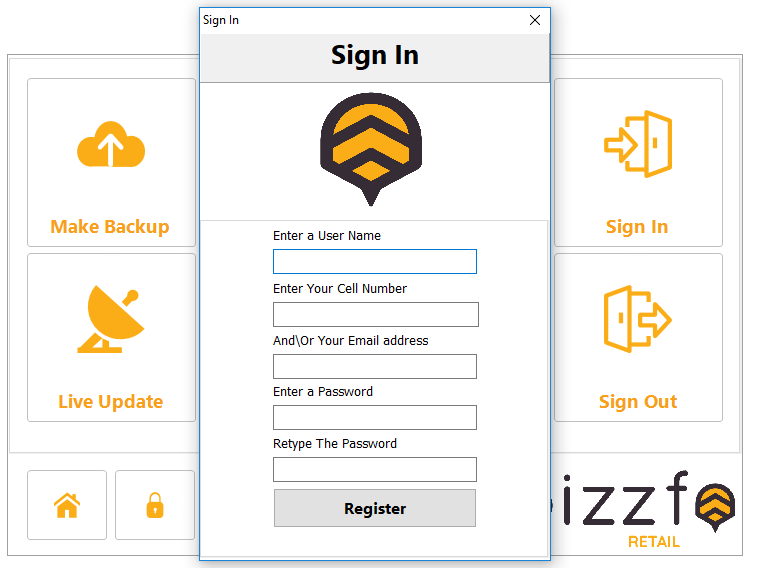 Once the account is activated continue to sign in page by clicking on Sign In. 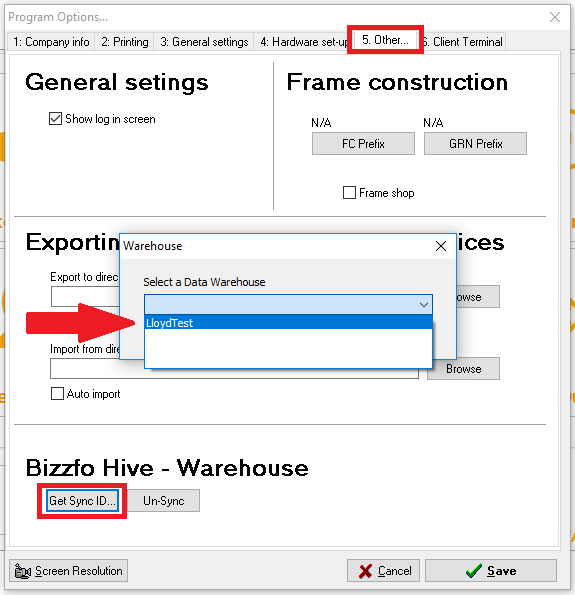 Go to program options and sync your terminal with the Hive Datawarehouse. 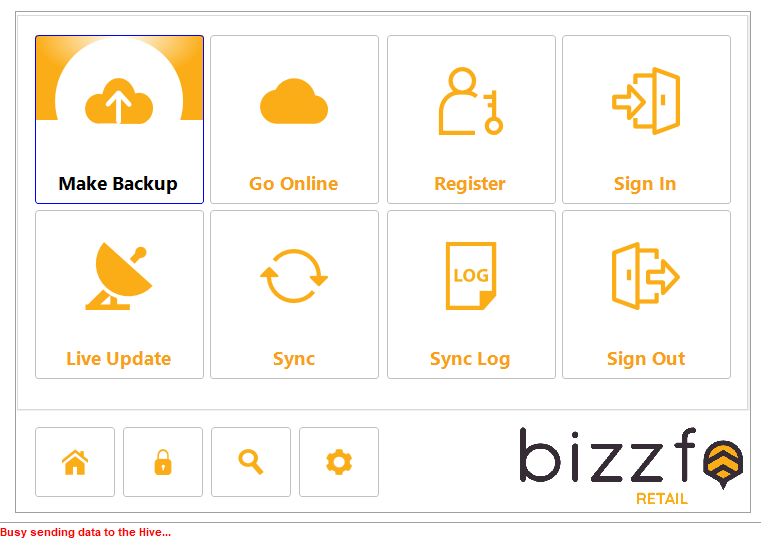 Status of backup is displayed bottom left of the screen.